I love to have dinner parties and have a few easy peasy recipes I can whip up that are sure to be a hit. Bacon makes everything better is what I always say. You can wrap it around just about anything to increase the yumminess. This is an easy Keto and Paleo appetizer that you can take to your next get together, make for Sunday Football parties, or as a simple app when the girls are coming over. 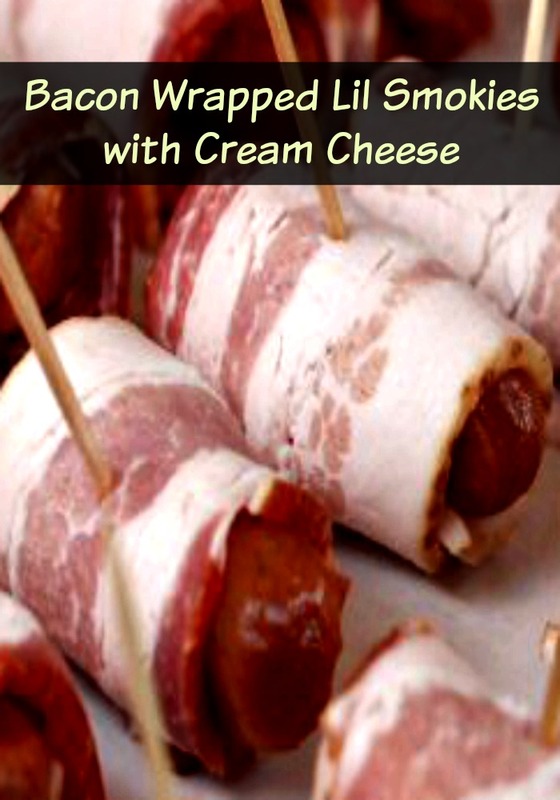 Try these Bacon Wrapped Lil Smokies with Cream Cheese, you won’t be disappointed – promise. Disclosure: This post not only shares this recipe, but also has Affiliate Links that I earn commissions from. This is how I make a living and keep this little blog running. Thank you for supporting me! I appreciate it. Much love, Kristi. I am a huge Safeway girl and always shopped there while in Arizona. In Alaska though, Carrs is where I head to and it is part of the Safeway brand! As a busy traveler, I often eat on the go or look for things I can make and take with me on the road. I am a huge kielbasa fan and have a slight addiction to Lil Smokies. I was excited to see this package of Chicken Lit’l Smokies come out. I love to cook apples and chicken together and these little guys sure come through on taste! I always like to take an already great appetizer and jazzed it up just a tish. This is recipe I whip up when I’m pressed for time and it is always a crowd favorite. Something about Bacon + Cream Cheese + Lit’l Smokies that just makes people happy and always coming back for more. When you are pressed for time and want something fun and tasty, go for the Lil Smokies! I've made these many different ways... for a bit of fun for your taste buds, slice up an apple thinly and spread the cream cheese on the apple slices. Then press the apple slice to the Lit'l Smokie and wrap the bacon around both and insert a toothpick through the middle holding it all together. Or you can forget the apple, and spread the cream cheese on the bacon and then wrap it around the Lil Smokie. This could get messy, btw! Lay the Bacon Wrapped Lit'l Smokies on a baking sheet and pop into the oven for 15-18 minutes. It is best to put these on a rack over a baking sheet if you have it. These taste amazing. You're welcome! For other appetizer ideas check out this Party Perfect Bites book. Check out some other great recipes using Hillshire Brands.